My name is “Tina” and I am now a forty year old adult who lived in an abusive home until I was 16 and finally managed to get into a caring foster family. 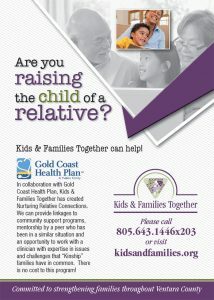 I know you write a monthly column to help kinship, foster and adoptive caregivers better support the children in their care. Many children become more excited with the approach of Christmas but you might notice other reactions in an abused or otherwise traumatized child. The child might appear to be depressed, short tempered, or both. The child might struggle with insomnia at night and then have little or no energy during the day. All of this is a normal reaction to having experienced trauma. Below I have written my own story and why this continues to be true for me.